Research has shown that asthma is approaching "epidemic proportions" across the globe. 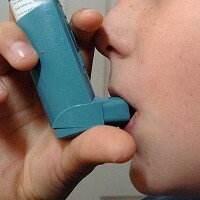 The World Allergy Organisation (WAO) said that worldwide there are about 300 million people with asthma and experts predict there could be a further 100 million sufferers by 2025. Asthma attacks can lead to a range of health problems requiring expensive hospital treatment, which makes having the correct pre-existing medical travel insurance important for asthmatics planning on jetting off on holiday this summer. In a statement marking the start of World Allergy Week, WAO president Ruby Pawankar said about 30%-40% of people on the planet suffer from allergic diseases and said action is urgently needed to improve treatment. The WAO, which is an international group representing 89 regional and national allergy, asthma and immunology societies, called for a more integrated approach to treatment.